The Mong Duong II thermal power plant is located in Quang Ninh Province of Vietnam. Image courtesy of AES-VCM Mong Duong Power Company Limited. The Mong Duong-2 plant comprises two 620MW generating units. The Mong Duong-2 power plant was fully commissioned in May 2015. The power plant was constructed on a build-operate-transfer (BOT) basis and comprises two generating units of 620MW gross capacity each. Mong Duong-2 is Vietnam’s first and biggest coal-fired BOT project and is also the biggest private sector power project undertaken in the country. The $2.1bn project was developed with 100% foreign direct investment. Ownership will be transferred to the government of Vietnam after 25 years of operation. A ground breaking ceremony for the project was held in September 2011 and the 620MW first unit was grid-connected in June 2014. The second unit was operational by May 2015. The project is expected to generate up to 7.6 billion kilowatt hours of electricity annually, which will be used to power more than two million Vietnamese households. It also created approximately 6,000 construction and 200 operational jobs. "Mong Duong-2 is equipped with two 600MW power boilers." 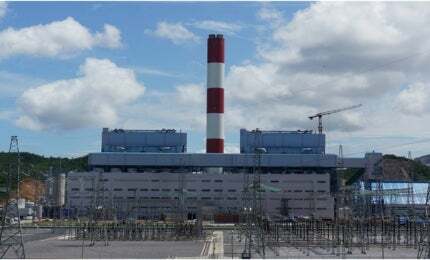 The Mong Duong-2 power plant was constructed on a 297ha site in the Mong Duong Power Centre, approximately 200km east of Hanoi, and is located alongside the Mong Duong 1 project. The site was selected for its proximity to coal mines, availability of transportation infrastructure and cooling water, as well as easy connection to the national grid. Both plants are expected to share common facilities, including the fuel-oil and limestone jetties, as well as cooling water inlet and outlet channels. Mong Duong-2 is equipped with two 600MW power boilers, the first boilers to be produced domestically in Vietnam, and will use pulverised coal (PC) technology, which will involve the pulverisation of coal at a highly fine degree to spray into the furnace. A flue-gas desulfuriser (FGD) will be installed for this operation. The boilers produce steam to drive the turbines that generate the electricity. However, the Mong Duong-1 plant uses circulating fluidised bed (CFB) technology to burn fuel with high sulphur content. Vietnam National Coal and Mineral Industries Holding Corporation (Vincomin), a state-owned entity, supplies coal under a 25-year coal supply agreement. Cooling water for the power plant is sourced from the Luong Gac channel and discharged via the De Dach River to the Thac Thay River. A buried pipeline was constructed for this purpose. Vietnam Oil & Gas Group (PetroVietnam or PVN) is constructing a 1,200MW coal-fired power plant known as Song Hau 1.
Financing for the Vietnamese coal power project was provided by 12 foreign banks, including BNP Paribas, Credit Agricole, HSBC, ING, Natixis, Societe Generale, Sumitomo Mitsui Banking, Mizuho Corporate Bank, Standard Chartered, UniCredit, Credit Industriel et Commercial and DZ Bank. Korea Eximbank and Korea Trade Insurance Corporation (K-sure) provided commercial guarantees and political risk cover. Vietnam Electricity (EVN) will purchase the entire electricity produced at Mong Duong-2 under a 25-year power purchase agreement. "Ground breaking ceremony for the project was held in September 2011." Doosan Heavy Industries & Construction is the engineering, procurement and construction (EPC) contractor, as well as the boiler and turbine generator equipment supplier. Doosan subcontracted Yokogawa Electric for the supply of control systems. The supply order included the CENTUM VP integrated production control system for the power plant’s boilers, turbines and auxiliary facilities, and the ProSafe-RS safety instrumentation system. Shearman & Sterling acted as the adviser for the lead sponsor, AES Corporation, in relation to financing for the power plant. Hoa Binh Construction and Real Estate Corporation was contracted for the construction of the thermal power plant and Lideco 3 was sub-contracted by Doosan for the civil works.